This is the third cupcake batch that I made last weekend. 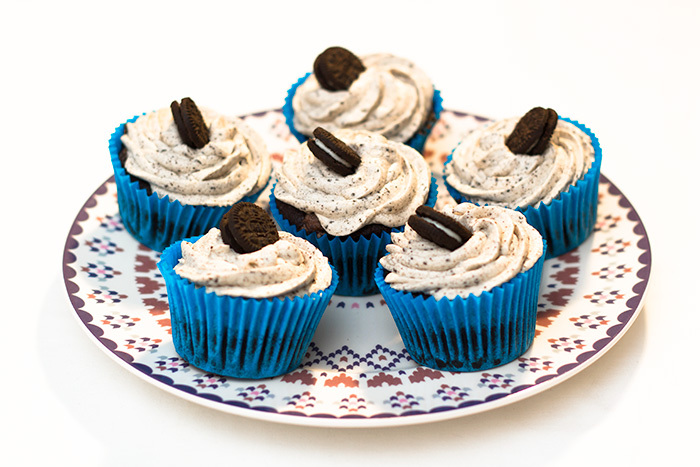 Vegan cupcakes were requested so I went to the trusty vegan cupcakes recipe book and chose the cookies and cream version of the chocolate cupcake. I did a bit of research to check that Oreos really were vegan…I always have a worry that I am going to use something I shouldn’t when baking for vegans so I triple check everything! 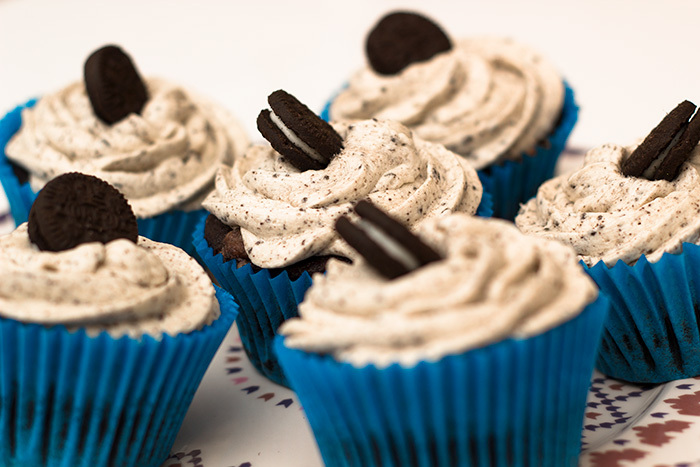 And yes – around this time last year they changed the recipe in the UK making them vegan. This is a lovely recipe. 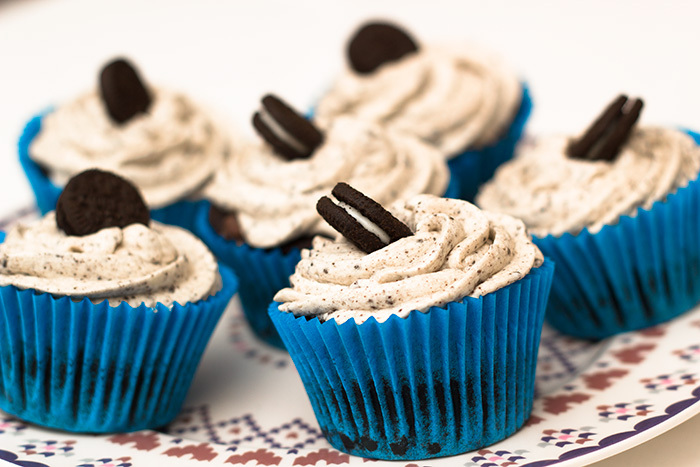 The basic cupcake is the same one used in the Vegan Black Forest Gateaux Cupcakes I made a while back so I knew they worked well. 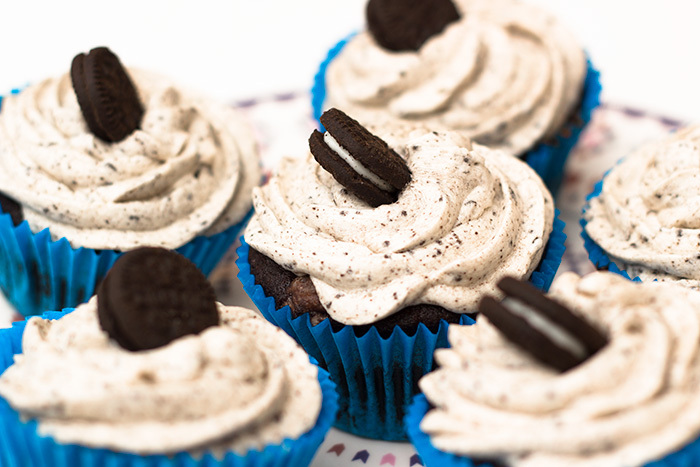 The addition of Oreos to the sponge and frosting is brilliant. You wouldn’t know that these were vegan! 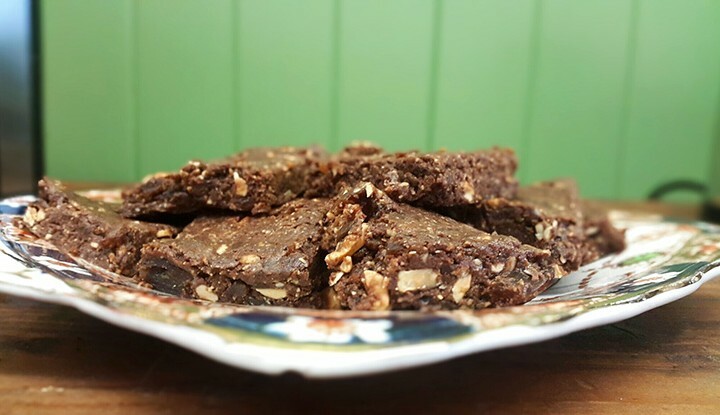 Overall these went down really well – they were mostly eaten by non vegans which is a great compliment! Hi Carla – thanks for your comment. I have added soya milk on the 3 occasions that I made them and they worked fine but it’s good to know! Can I use self raising flour instead of plain flour if I leave out the raising agents? When you say grams of milk and rapeseed oil do you mean mls? Hi Lauren – I know it’s odd but I weighed it in grams.